I find religious apologetics revolting. In my mind, it’s just another word for lying. Maybe a nicer way of putting it is axe-grinding. It’s making a case for something that can’t make a case for itself. It’s twisting reasoning into a logical pretzel. In some ways, I think people can believe whatever they choose to believe. It’s a free country. But my beef with religious dogma really has to do with lying. I’ve seen a lot of apologists lie. And lying to children about the world around them is despicable to me. A child doesn’t have the right brain or information to make an informed decision. For my own children, I have tried hard to simply teach them to be skeptical and how to search for answers. They can find God or not using those tools. But I’m not going to teach them one way or the other what they should think. I’ve listened to many apologists during my study of the veracity of the Christian religion and the Bible. Most of these apologists were on the “Unbelievable” radio show/podcast but many on youtube as well. I do think the host Justin Brierley is a very fair interviewer and I give him credit for really showing both sides. In most cases, apologists go down a rabbit hole of philosophy and working out whether we are just “a brain in a vat.” Or they’ll admit inserting words into the writings of Josephus about Jesus while at the same time making a case that the statement is still mostly true. They’ll argue that the Grand Canyon was formed in 1 year during Noah’s flood. 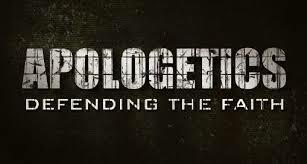 Although apologetics means “speaking in defense” and not giving an apology, I feel apologists owe me an apology for lying to me. ← Why did God need humans to kill his enemies?